New York Mets star third baseman David Wright wore this blue Mets batting helmet on September 26th, 2012, during the Mets 6-0 home victory over the Pittsburgh Pirates. 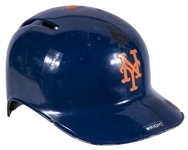 Wright finished this game 2-4 with a run scored, improving his batting average to a healthy .307. 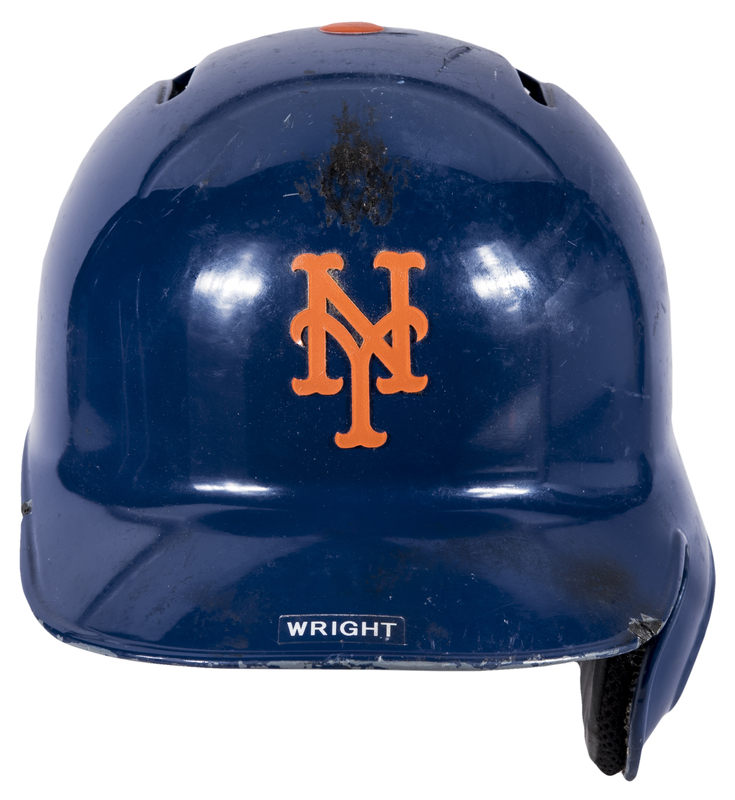 With his two hits, Wright surpassed Ed Kranepool on the New York Mets' all-time hits record list with his 1,419th career hit and he ended the year with a .306 batting average to go with 21 homers and 93 RBI. 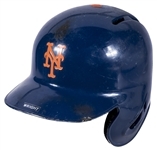 This batting helmet is a size 7 ¼, with a flap over the left ear and all the interior padding intact. 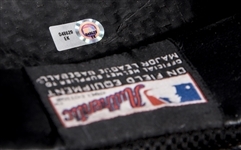 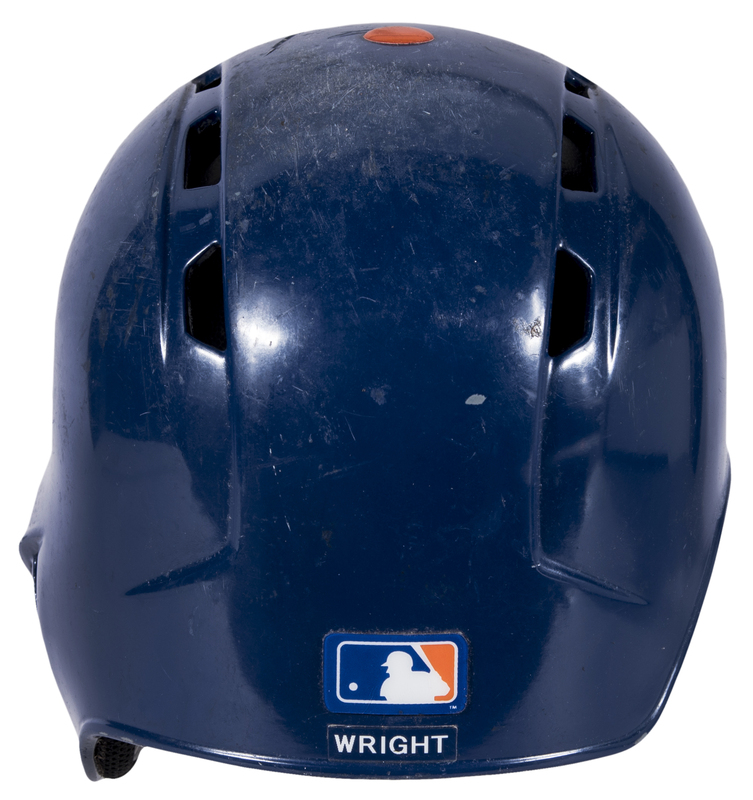 “WRIGHT” is applied to the brim and the back of the helmet. Please note the edge of the brim is chipped very slightly in two places. This helmet comes with a MLB Authenticated hologram (EK 048629).